That's the Metis Flag no? It is the historical flag of Karelia, different from the flag of the Republic of Karelia which belongs to the Russian Federation. Note 1: Only the flags of Estonia and Finland are also official flags of "sovereign countries". 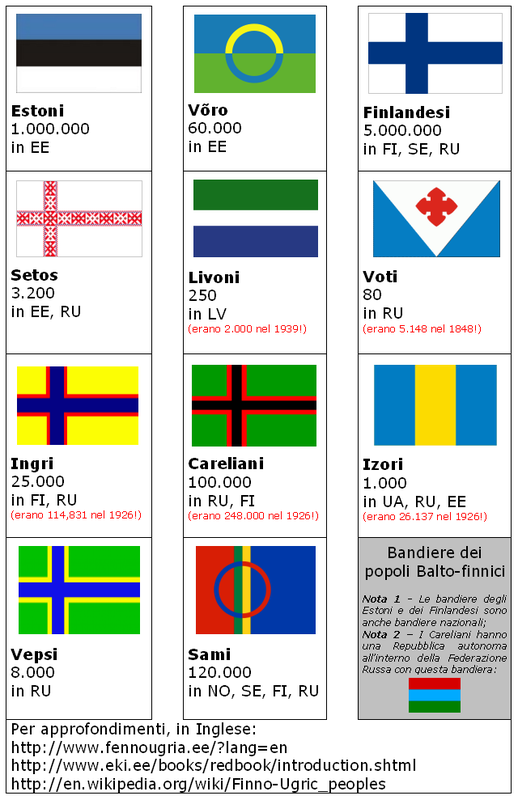 Note 2: The flag of Võro people changed in 2013, after a local referendum. It is the flag of Romani people.